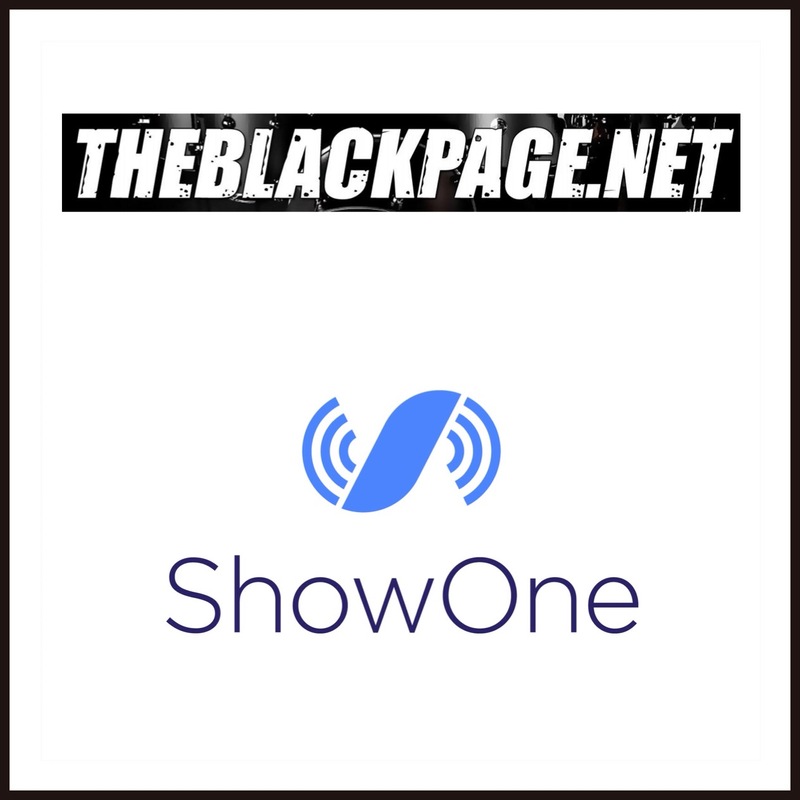 Lots of new stuff coming in 2019 – thanks for supporting ShowOne! ShowOne now works with non-whole number tempos to two decimal places BPM; i.e. 150.5, 85.85, 180.73, and so on. 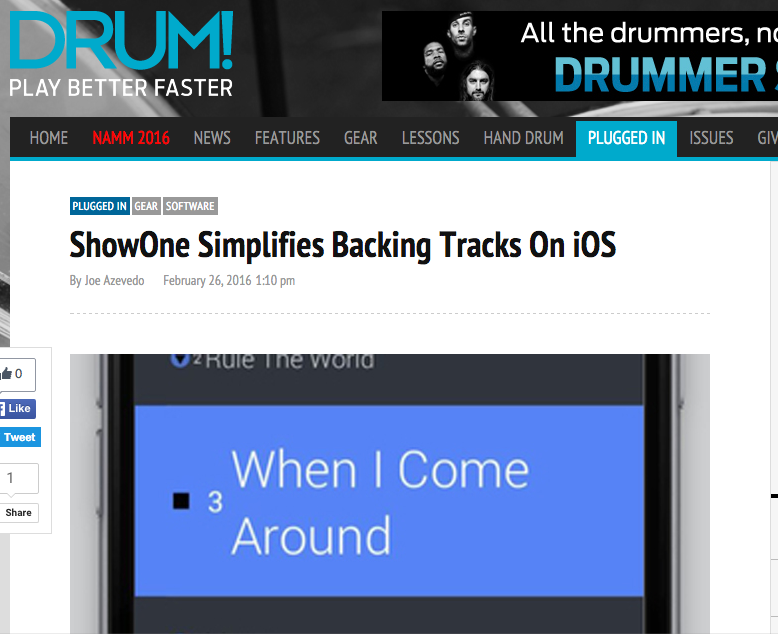 Enjoy the very precise tempos you can now have in your ShowOne tracks! Click Mute may now be turned both on and off at chosen bars within a track. Use this to mute the click just for a section or sections of a song: for instance, mute the click for the intro of a song and have it come in when it’s time to start playing in the verse. 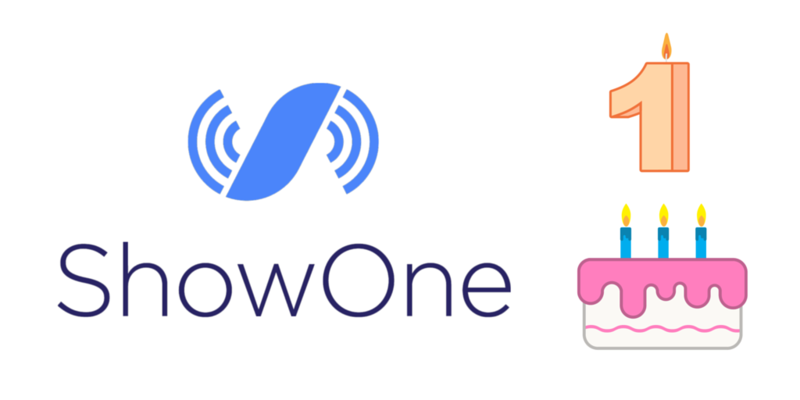 Look for many more sought-after features to be incorporated into ShowOne throughout the year! 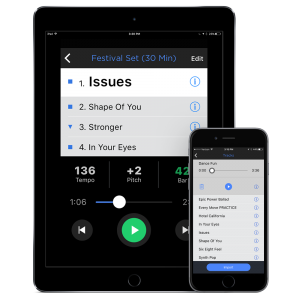 Update to ShowOne V1.3.6 (released 9/25/17) for proper compatibility with iOS 11 and fixes to the below issues. Update to latest Dropbox version as well to fix #3 below. 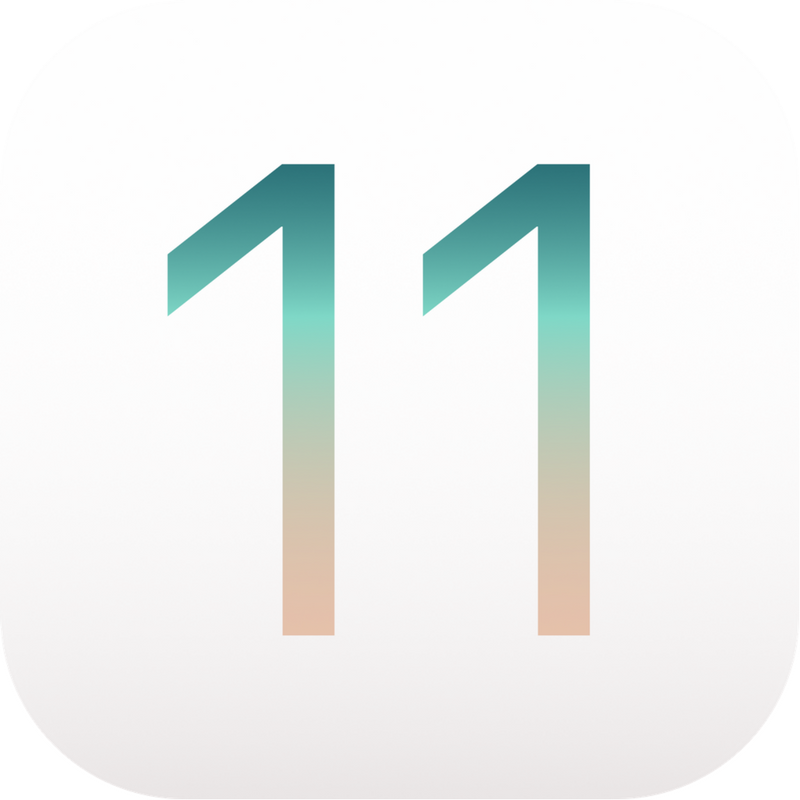 Apple unveiled iOS 11 yesterday, and we discovered a couple issues around importing with this iOS update. We’re working fast on fixes and will have an update soon, but in the meantime here are the issues so everyone is aware and can plan to work around them. 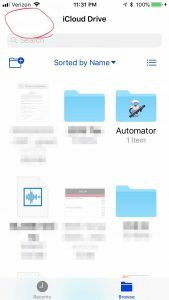 FIXED IN SHOWONE V1.3.6 – Pressing the “+” Import button takes you to iCloud Drive within the new Files system in iOS 11. However it’s nearly impossible to navigate to your other cloud apps because to go to the main Browser page, you would press the “Locations” button which is near invisible against the background (see pic). To access Dropbox and other apps, press in the upper left corner which will take you to the main Browse page where all your cloud apps are located. If you’re not seeing one you have installed when you get there, press “Edit” in upper right corner and turn it on with the switch. Again the “Edit” button will be essentially hidden but it is there. FIXED IN SHOWONE V1.3.6 – On an iPad only, when you’re entering tempo and other information during import, the tempo entry field is hidden (it’s covered up by the numeric keypad). You can still enter the number correctly, you just can’t see it as it’s entered. After importing a song we recommend checking the tempo you entered in the Track Settings > Track Import Settings > Original Tempo. If that’s incorrect you can change it there. FIXED IN DROPBOX V64.3 – Dropbox import is broken. **THIS IS A DROPBOX ISSUE WITH ALL APPS – THEY WILL FIX ASAP. Selecting a file in Dropbox will download and appear to import, but the file will not show up in the import queue. All the other cloud apps work fine. Until they get a fix, please use one of the others like Google Drive or iCloud Drive. Thanks for the patience, we’ll get these fixed asap! This is our biggest update yet! 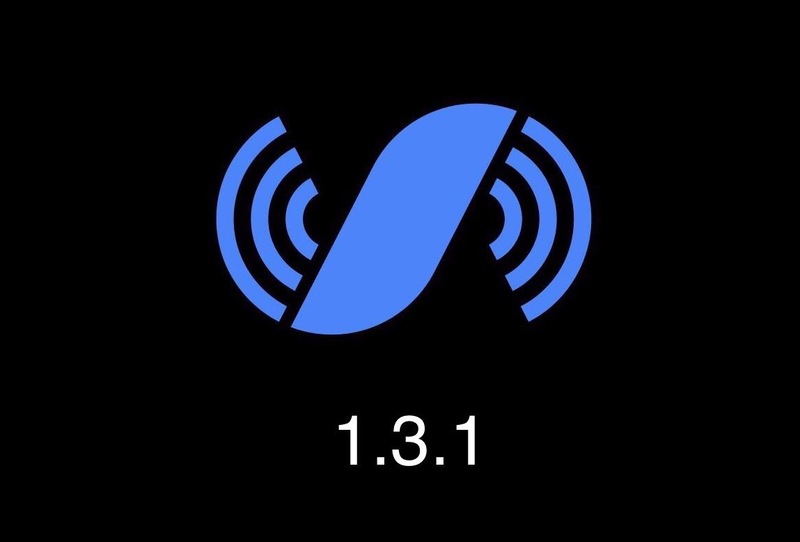 With ShowOne 1.3.4 we’ve completely revamped the interface and user experience to make it easier to navigate and use. Every screen of the app has been updated and enhanced. In addition, we’ve fixed a few bugs and improved the User Cue functionality. Check the “Tips & Tricks” entry for a detailed look at all the changes. 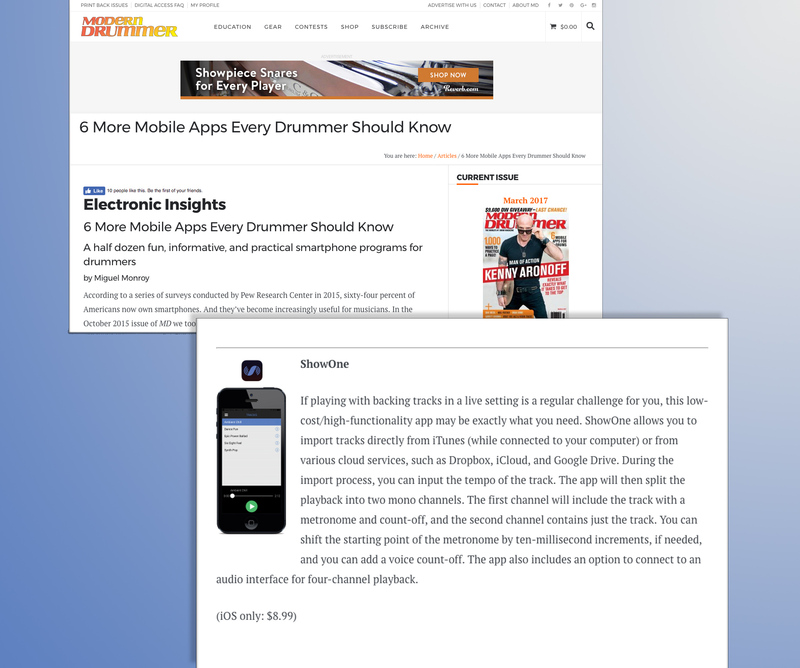 ShowOne made a spot in Modern Drummer’s “6 More Mobile Apps Every Drummer Should Know”. 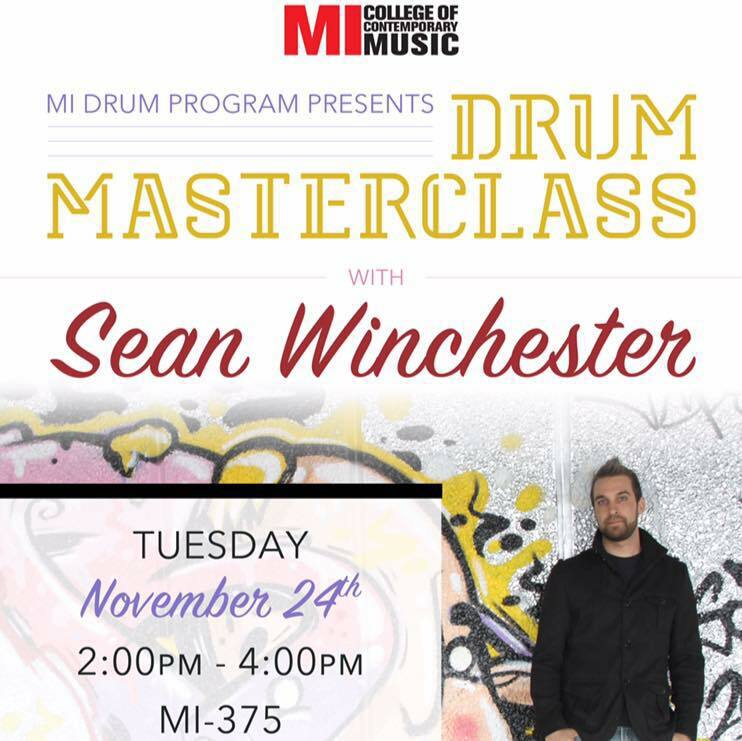 Check out the article at the link! 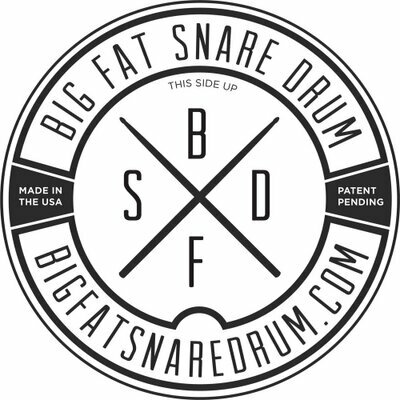 12/29/16 – Year End sale is on! 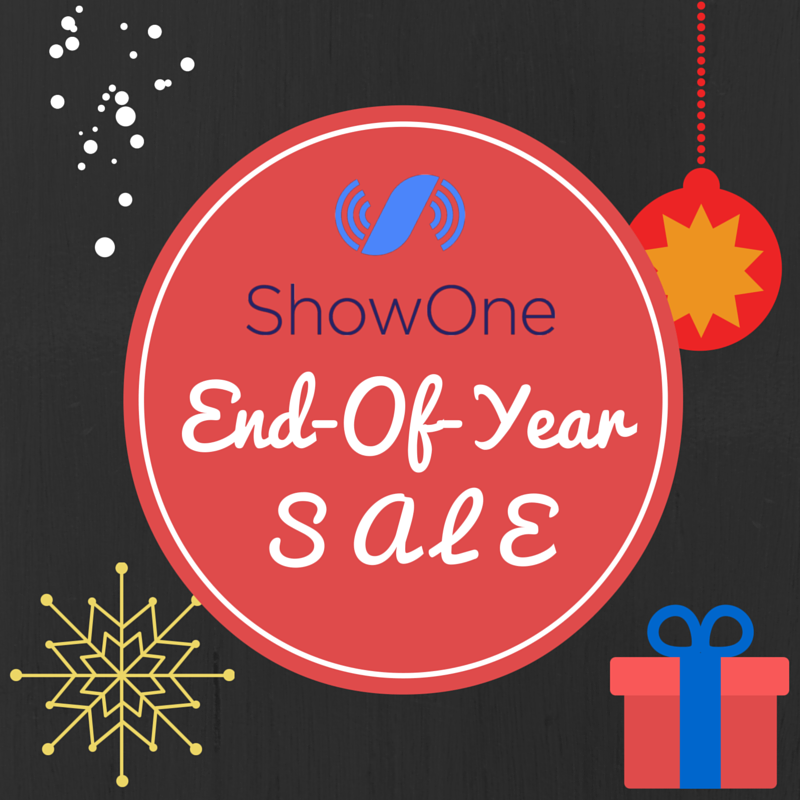 The ShowOne end of year sale is on – unlock the full version for 30% off the regular price and get a free Click Pack! Additional features are also discounted. Press “Unlock” from the main menu and then go to the Store for the add-on features and click pack. Download for free from the App Store via the buttons all over the site! Grab the update from the App Store. 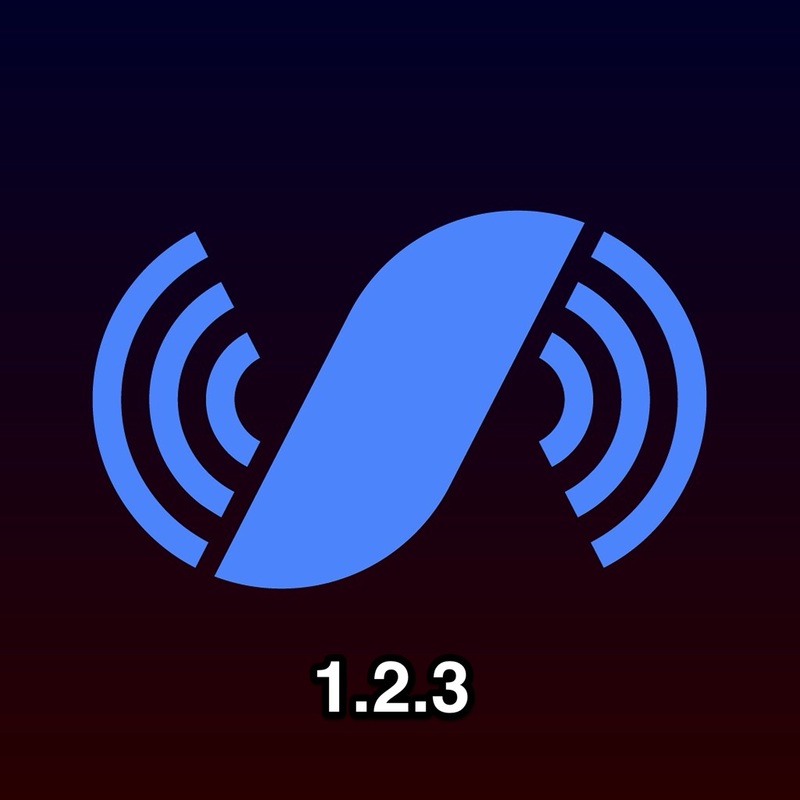 ShowOne V1.3 is released today, bringing ShowOne off it’s lonely island with MIDI connectivity! 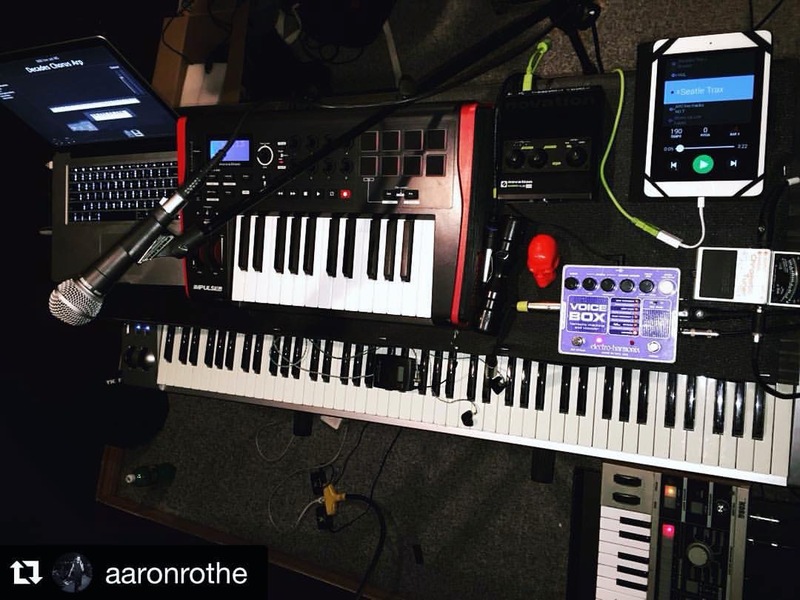 Control ShowOne’s transport controls with an external keyboard or drum pad when connected via MIDI interface. 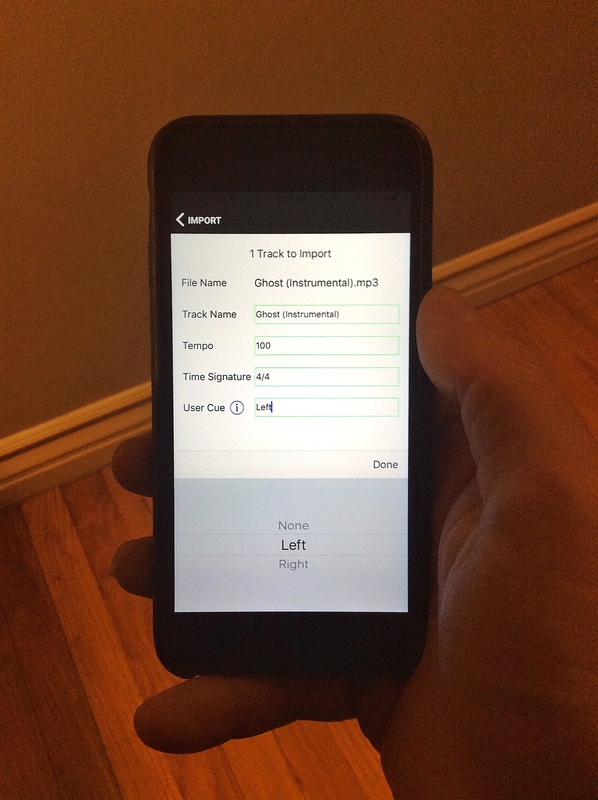 The MIDI Transport feature is available as an in-app purchase within the Store. 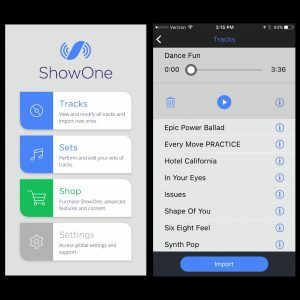 Happy 1st birthday ShowOne! Unlock the app for just $5.99 now through the weekend. 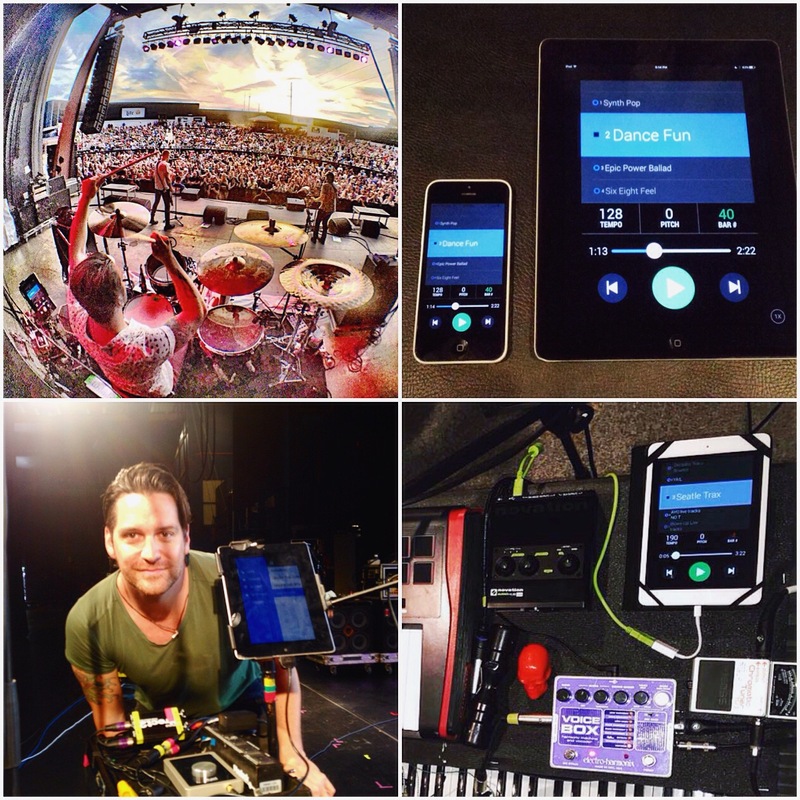 Eve 6 and opener Oz are both using ShowOne in their sets throughout the summer tour – check it out! 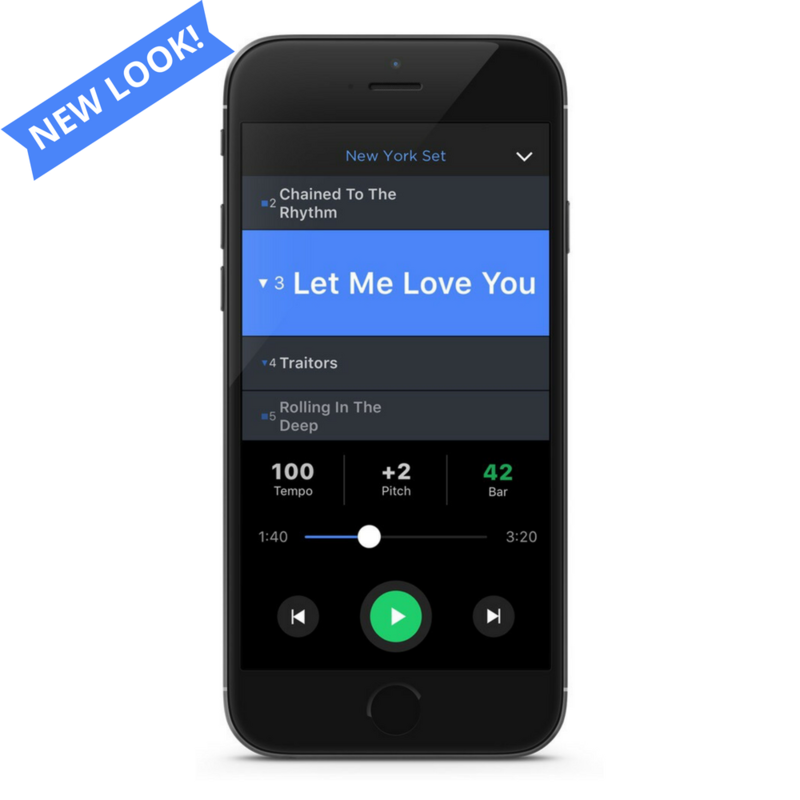 – You can now change a track’s Original Tempo and Time Signature from within Track Settings – no need to delete and reimport a track anymore if the click is off sync because you entered the wrong tempo during import. It’s near the bottom of the settings page for each track. – The green Preview button in the main Settings page now plays the last played track along with the click/count loop so you can adjust click and track volumes while listening, and hear how different click sounds feel against the music right from the Settings page. IMPORTANT: This version (1.2.4) only works on iOS 8 and up, so all you users still on iOS 7 or the old school iPhone 4 will need to upgrade or be stuck at 1.2.3. Please drop us a review on the App Store after downloading the new update! ShowOne version 1.2.3 is out today with added help dialogs on the Import Screen. Grab it in the App Store! We had a great time cruising the room and getting people hip to ShowOne! 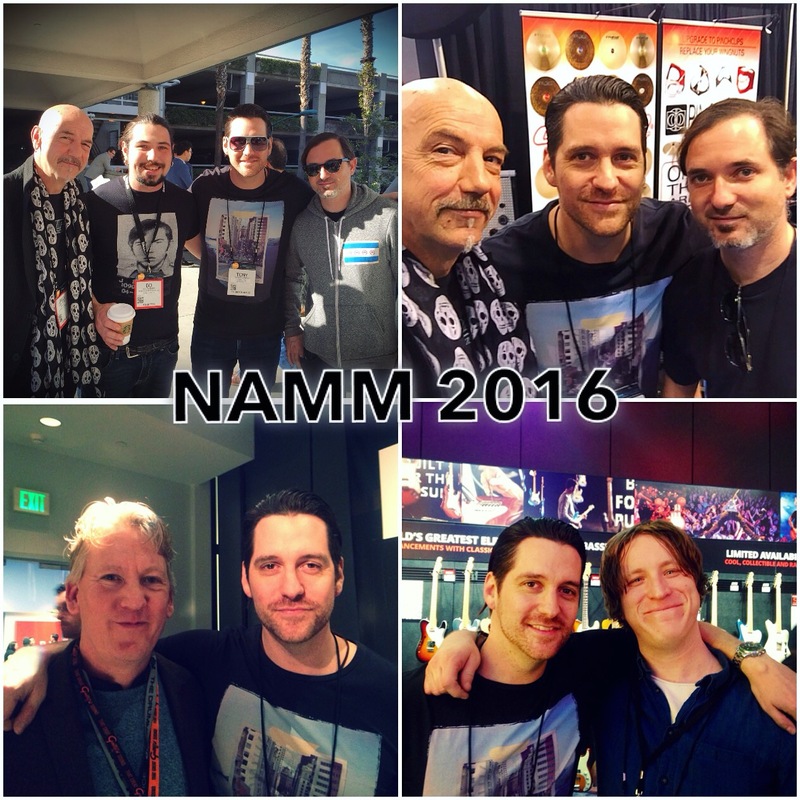 Saw some old friends and made some new ones – looking forward to next year! 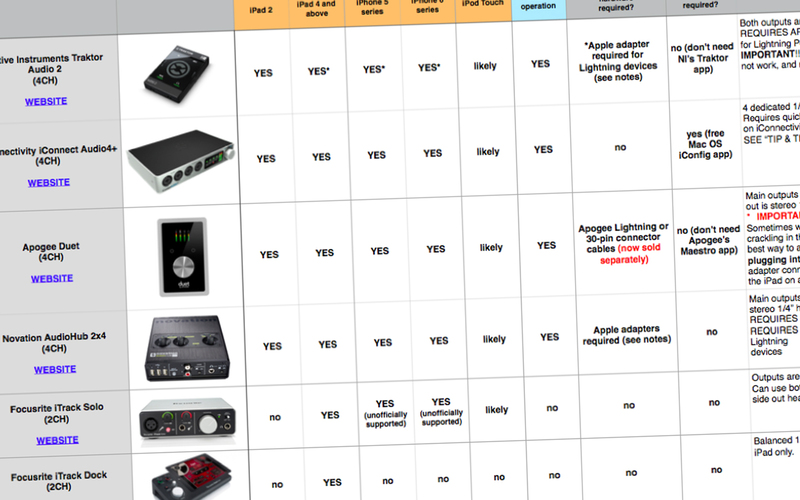 1/6/16 – Features for 2016? 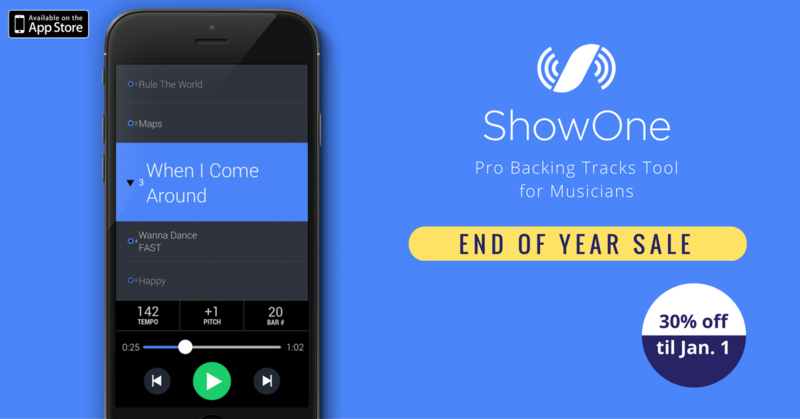 Thanks for helping make 2015 a great launch year for ShowOne. We’ve got some neat stuff for 2016 on the horizon. What would you most like to see added to ShowOne this year? Drop us a line on Facebook, Twitter, or email! 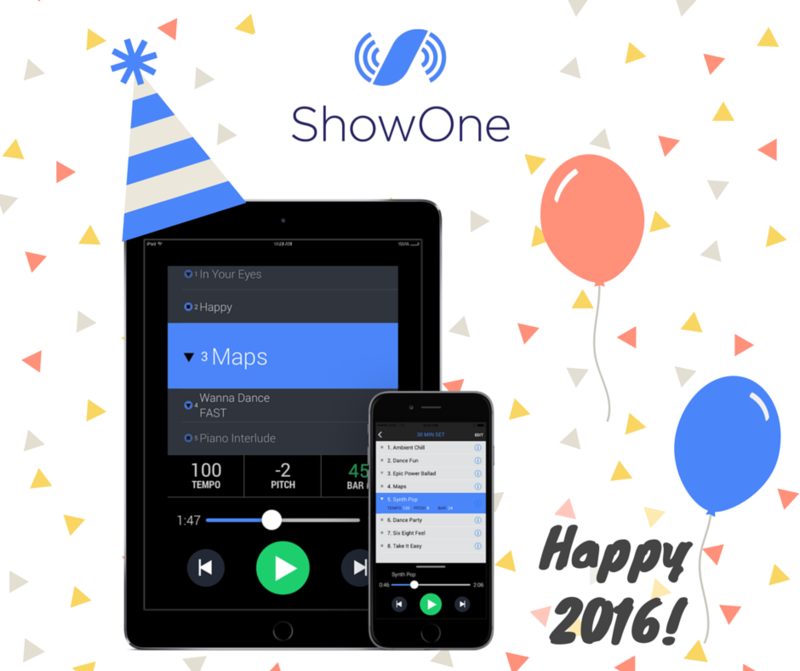 1/1/16 – Happy 2016 from ShowOne! #HappyNewYear and thanks for all the ShowOne support in our inaugural year! Much more to come in 2016 – let us know what features you’d like to see added in this next year! We’re having an end-of-the-year sale! From now through December 31st, you can unlock ShowOne for just $5.99. And on Christmas, December 25th, we’ll have an extra goodie for all those who unlocked the app… Happy Holidays from your ShowOne friends! 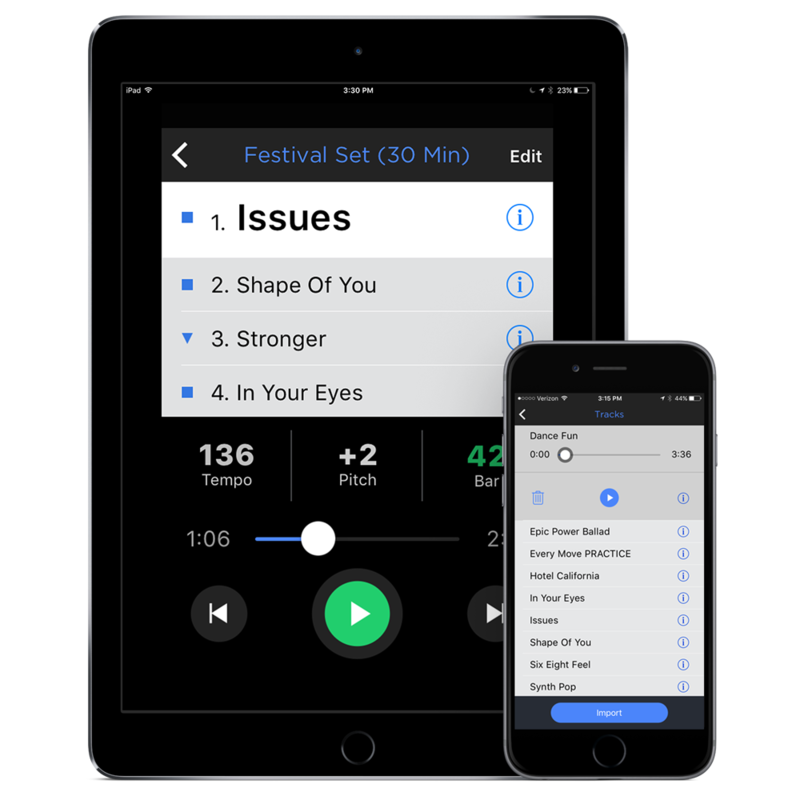 The Music App Blog gave ShowOne a positive and thorough review over at their site, pointing out several of the key features currently in the app and also a few more that would make nice additions in the future. Trust us – we’re listening! 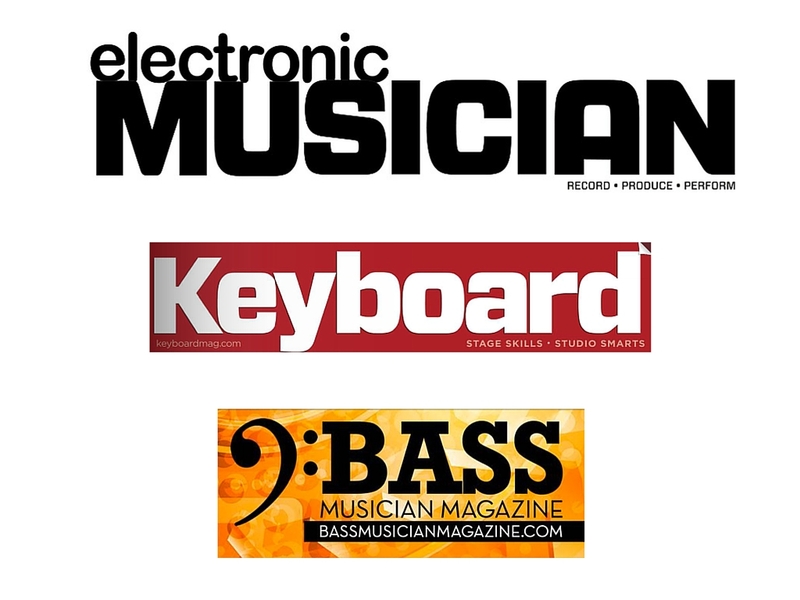 Some great write-ups from these excellent publications. 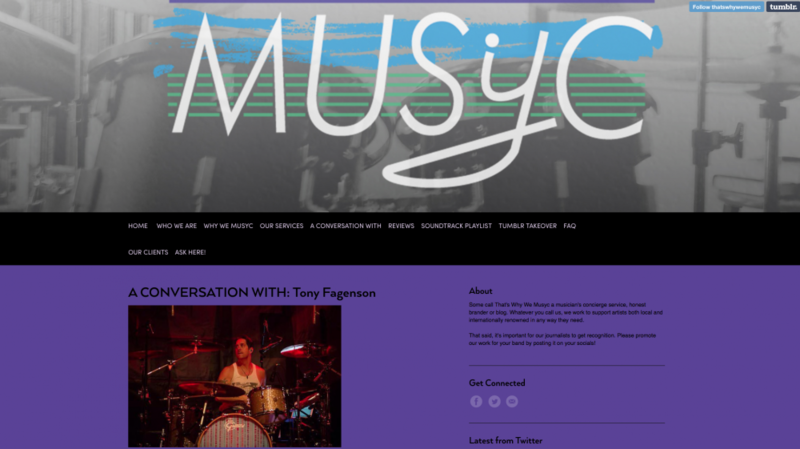 The Electronic Musician and Keyboard ones include quotes from ShowOne co-creator Tony Fagenson. Check ’em out! Nice little write-up of ShowOne from Discchord. Check it out at the link! 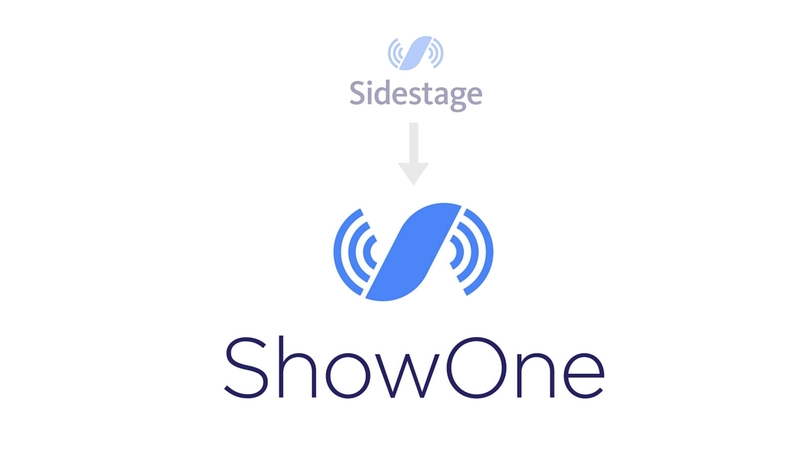 – Sidestage is now ShowOne! Different name, same great app! Sidestage is now known as ShowOne! 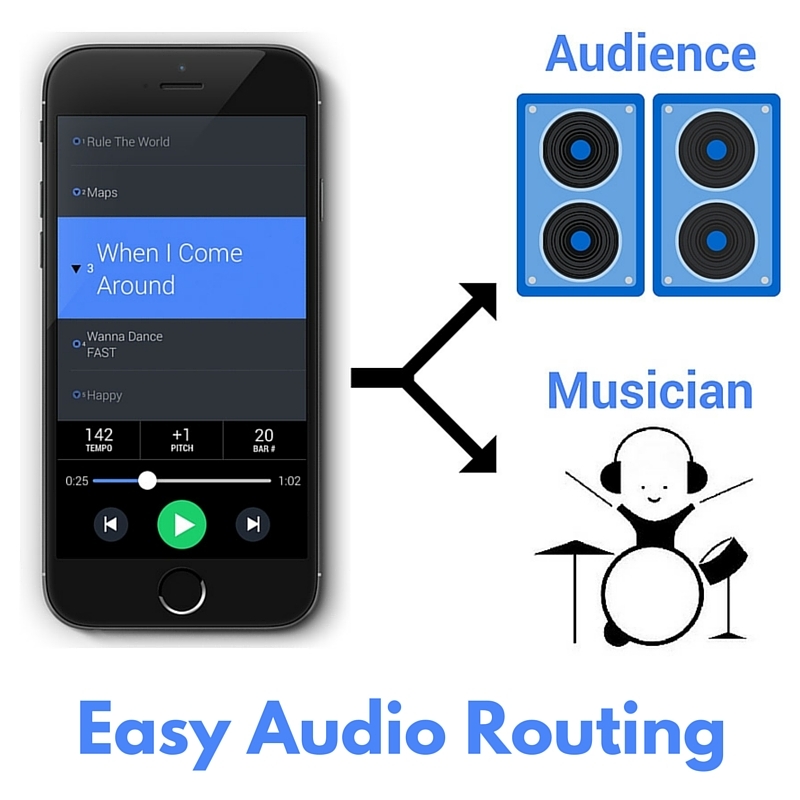 The app is the same with all the great features you’ve been used to such as the automatic click, tempo adjustment, and voice counts, but with a different name. 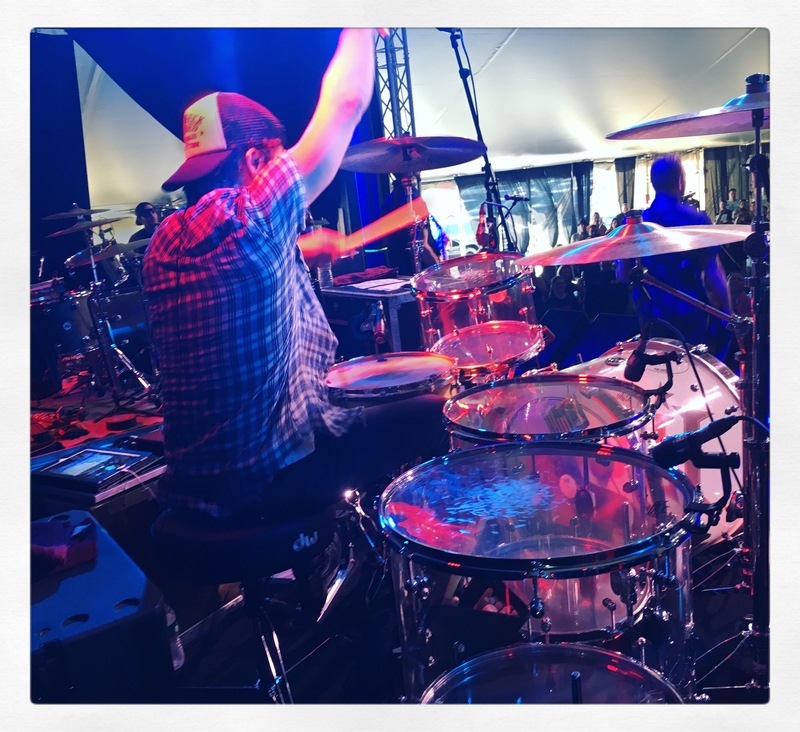 We made the change to avoid confusion with other “Sidestage”‘s out there in the music field. A new version with the new name will be released on the App Store in a day or two. In addition we’ve added and fixed a few things in this version; check our other blog post or the App Store “What’s New” section for details. Thanks, and enjoy the new ShowOne! 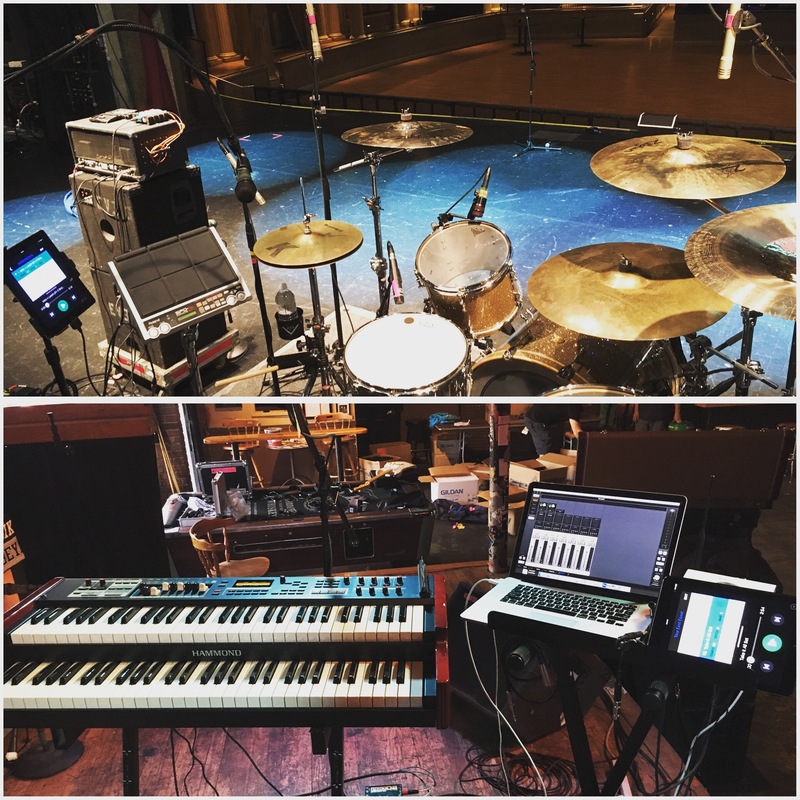 Here’s a nice shot of ShowOne user Aaron Rothe’s stage setup as vocalist and keyboard player for Denver-based band, 888. There is a bug in the current version (1.1) that causes 48k WAV files to play behind the click track when a count-off is added. This will be addressed in the next update to come in a few weeks. In the meantime, to use count off on these tracks, either convert your WAV files to 44.1k before importing or use MP3 or AAC files until we can get this fixed. Thanks! Be sure to follow us on Twitter to see all the fun you can have with the app! 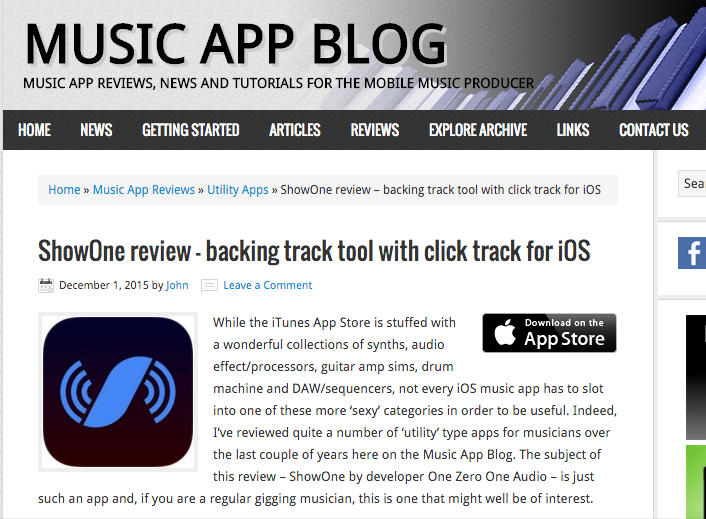 • ShowOne In-App Store – new features will now be available to buy as add-on In-App Purchases! • Click Pack 1 – a pack of well-known clicks you may be familiar with now available as the first item in the Store. Clicks are Ability, Fruity, Rational, and Sampler. • Cue Split mode – when in 4-channel (2x stereo) mode, it is now possible to send the click and the countoff out separate channels (3 and 4). 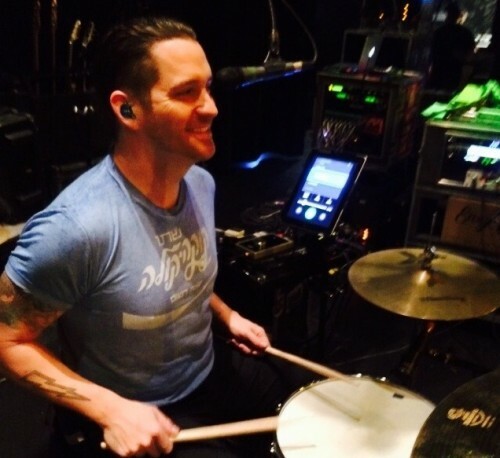 Here’s a snippet of video of Tony and Eve 6 using ShowOne at the Greek Theatre LA, July 19 2015! 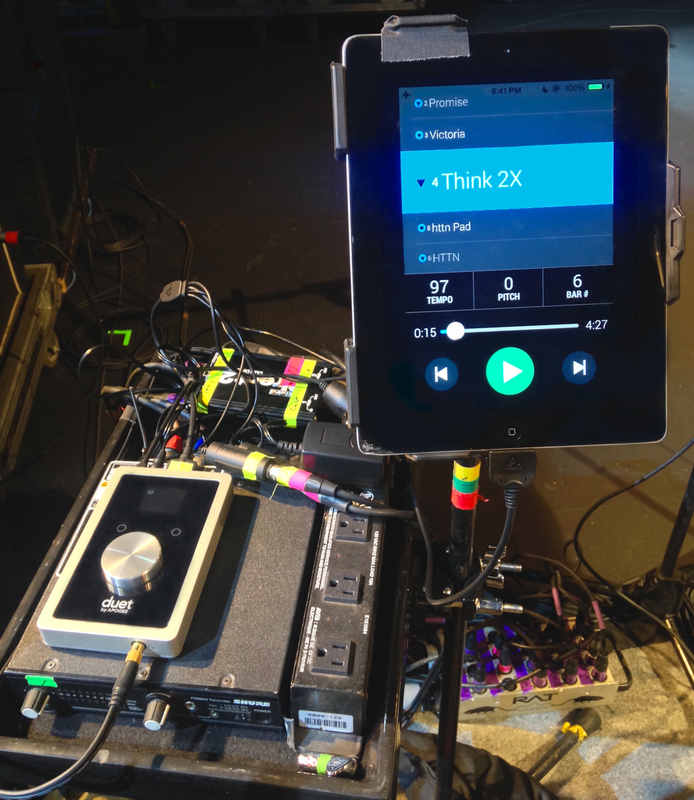 Here’s Tony’s setup next to his drum kit on the Under The Sun Tour with Eve 6. iPad 2 running ShowOne in 2X Stereo mode, connected to an Apogee Duet. The Duet main outs (ShowOne Main Output) are feeding into the monitor board via a couple of cables, and the headphone out (ShowOne Cue Output) is a stereo breakout cable feeding a stereo DI and then also into the monitor board. ShowOne on Under The Sun Tour 2015! We’re proud to announce that ShowOne is making it’s maiden voyage with the 2015 Under The Sun Tour Featuring: notable 90’s and 2000’s pop-rock bands Sugar Ray, Uncle Kracker, Eve 6, and Better Than Ezra. 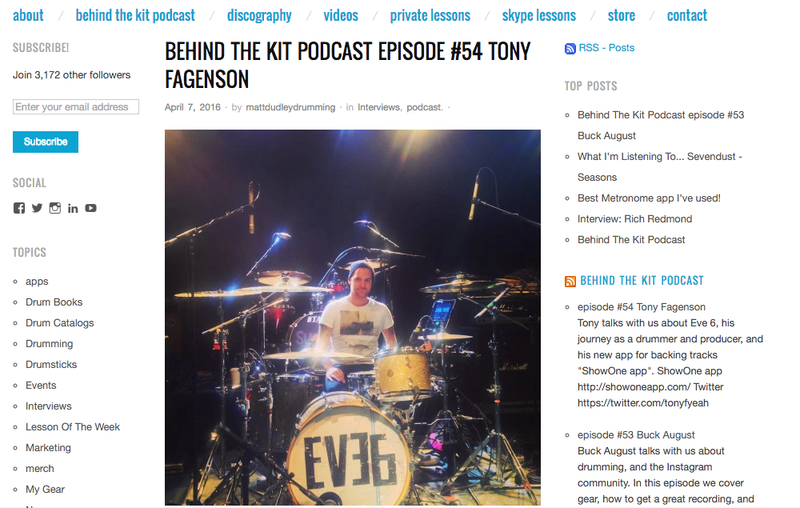 The tour runs July 17-Aug 29 2015 in the U.S.
ShowOne co-creator and One Zero One co-founder Tony Fagenson is using ShowOne as the main playback tool for his sets as drummer with Eve 6. Hear ShowOne doing it’s thing such Eve 6 hits as “Inside Out” and “Here’s To The Night” on tour all summer! Like us on Facebook, be happy! 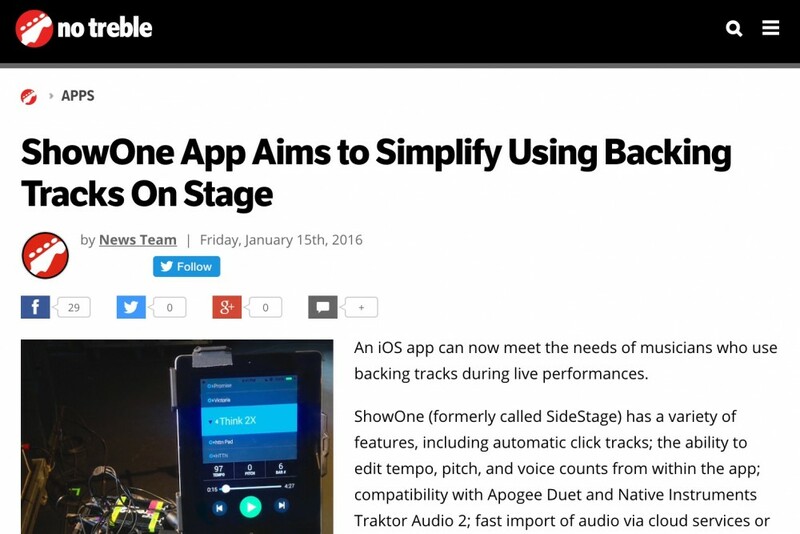 If you like us on Facebook, we promise to keep working to make Sidestage the best app ever for your backing tracks! Well we’re gonna do that anyway whether you Like us or not…but it’ll put a smile on our faces, and smiles are a good thing, right? 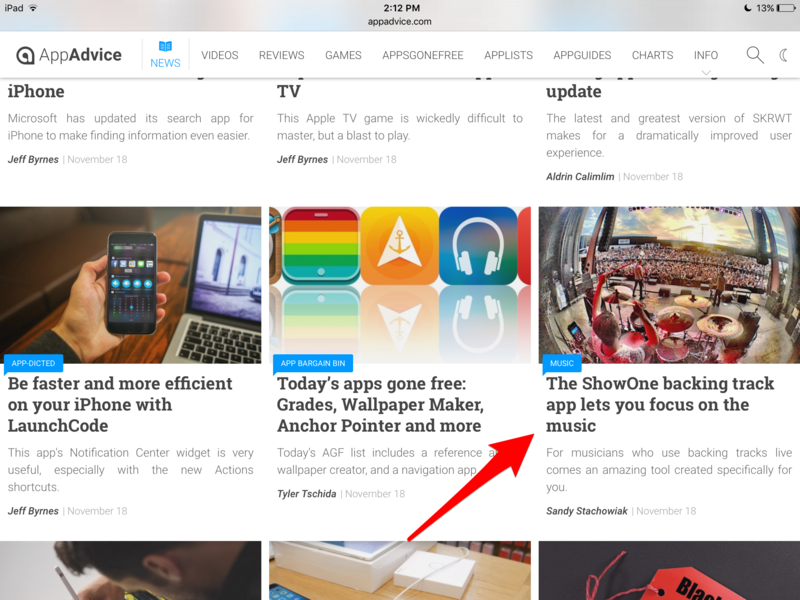 ShowOne is officially available on the App Store! 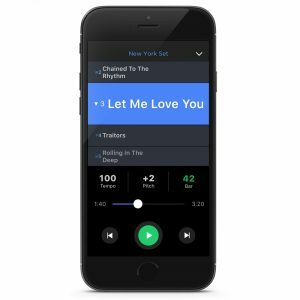 Having spent many years frustrated with current solutions and trying just about every method under the sun, we felt there needed to be a better way to get musicians in sync with their backing tracks on stage and in rehearsal. So after several years of brainstorming, idea-forming, discussing, preparing, and finally executing, we’re finally able to bring our vision to you. 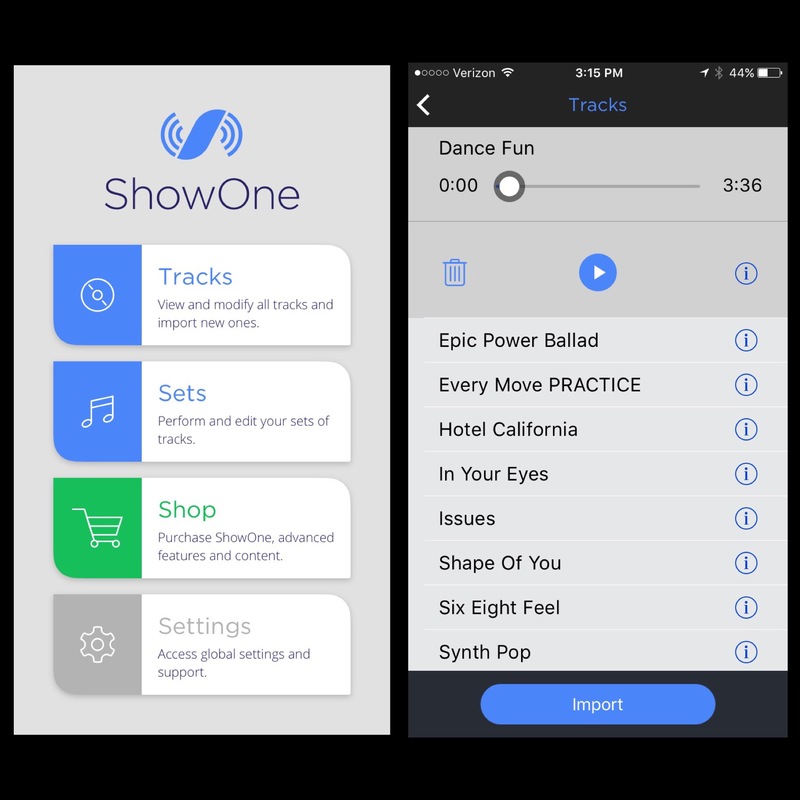 If you’re someone who’s looking to better incorporate your backing tracks into your performances, please, head over to the App Store and give ShowOne a try (it’s free to download). Look for a lot more online resources such as tutorial videos, tips and tricks, and more in the coming weeks. And we would love to hear from you, so don’t hesitate to drop us a line at support@onezerooneaudio.com, tweet us, leave us comments on FB, whatever. 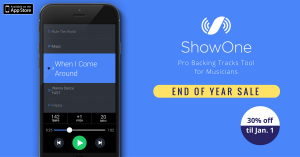 Enjoy ShowOne – the ultimate backing tracks tool for musicians!